Ranking at 7th of the most influential experts in SharePoint in Europe, according to rankings by harmon.ie in 2015, Robi is recognized as one of the most qualified SharePoint consultants in Slovenia. 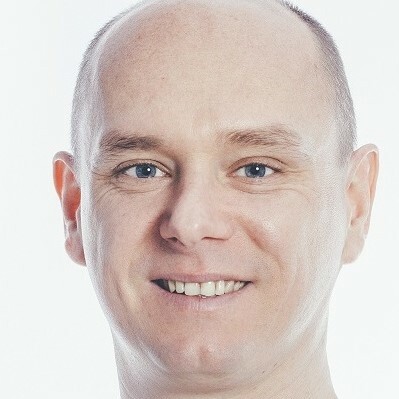 He is an active participant in all of the most significant SharePoint related events in Slovenia as well as the leader and founder of the Slovenian SharePoint Users Group. As a student he began his work as a lecturer in IT which allowed him to accumulate considerable knowledge and experience. Constantly improving his skills, including attending seminars abroad, he constantly shares his knowledge with participants of numerous courses and workshops. This includes lecturing at the annual Microsoft NT conference and other Microsoft events. He has accumulated a tremendous amount of practical experience, which stems from participation in numerous SharePoint projects in Slovenia. He currently possesses 25 valid Microsoft certificates, which confirm his status as MCP, MCT (which he received in 2007) and several others. But his greatest achievement to date came in 2013, when he became a Microsoft MVP for SharePoint products.